Are you tired of your boring shower and want to upgrade your personal space with a look and feel that will improve the overall look of your bathroom? 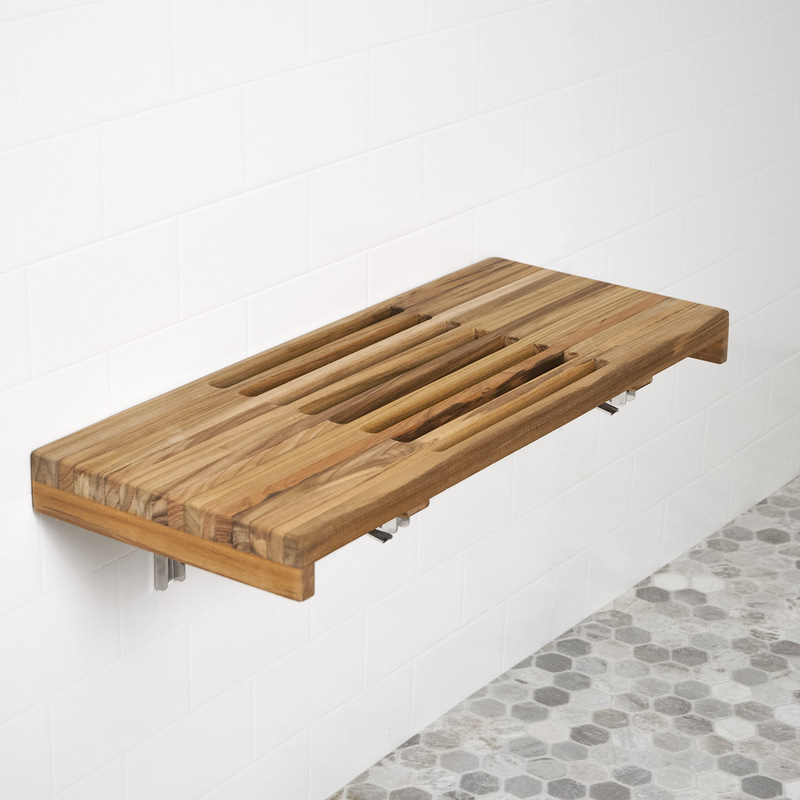 The 24" wall mount fold bench with slats from My Teak Shower Bench is the perfect solution to improve your bathroom and get added comfort while doing so! With a sleek design of 24"x 13" you will be able to sit comfortably while enjoying a nice shower. When properly installed, this Teak Shower Bench has the weight capacity of up to 300lbs, so sit back and relax and let yourself enjoy an updated shower! 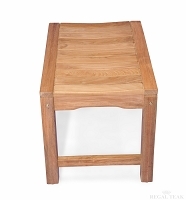 Each Teak Shower Bench is made in the USA and made of only quality materials. With the purchase of your Teak Shower Bench, you get the option of choosing from Burmese or Plantation Teak. This beautifully designed 24" Wall Mount Fold Down Bench comes with slats that not only show off a modern design but also help you feel more comfortable when washing away the stress of the day. This 24"x13" wall mount bench gives you the option of either having the bench folded up for when not in use or your Teak Shower Bench easily folds down when you'd like to have a seat! Each wall mount is secured with stainless steel mounts that were built to last and bring you comfort for years! 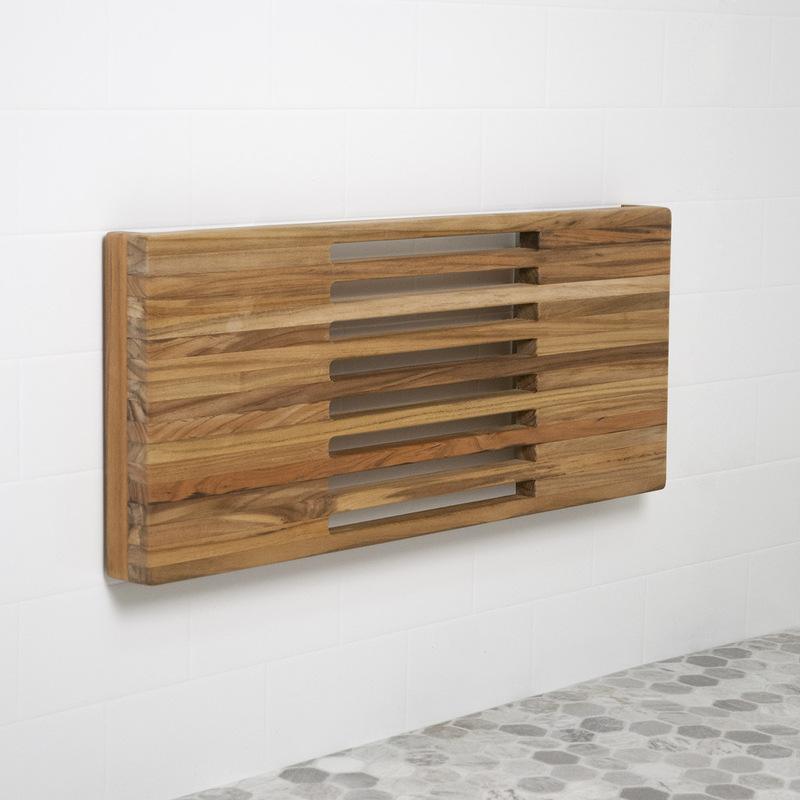 This Teak Wall Mount Fold Down Shower Bench was designed with your renovation in mind, so if you want a modern touch to your shower purchase a Teak Shower Bench today! First and foremost, this bench is beautiful. Gorgeous finish and very nice color. I feel like I'm at the spa every time I walk into my bathroom, which is an amazing feeling!! The bench is also very well-made and sturdy. I have no doubt it will last for years. Great shower bench. 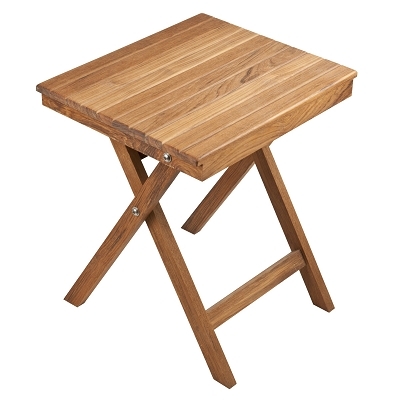 The teak is great because it folds down so when it is folded you don't have to worry about being able to see the hinges or not. Just make sure before you purchase it that you have wooden studs. It has to be able to go into wooden studs. This teak bench is wonderful. It is very durable once assembled. I love the fact that it folds up for those mornings where you don't need it out but folds down very easily! I am very pleased with it and I would highly recommend it to anyone! I love this bench, I just wish it would have been a little bit smaller. Looooove this bench! It's a great, modern look to the bathroom!